" Chris & Sal touring the beautiful Horticulture Gardens on Sept 9th 09'"
Took this snap-shot while driving by with my Uncle Lou and Aunti Lita (immigrated here 2 years ago from the Philippines) visiting for a day after going to Alexandria the previous day. Hu (leader of fellowship group on Friday nights-see Taiwan) and I brought some students (from India) of North Dakota State University visiting around the gardens this morning before they headed back to Fargo, ND. "Pack up the whole family and come to the Garden for the 41st annual Horticulture Night at the University of Minnesota West Central Research and Outreach Center (WCROC) in Morris on July 28 from 5-9 p.m. This yearly event has something for everyone: garden and farm tours, horticulture demonstrations, educational displays, kids activities; plus food, fun, and entertainment. Each tour meets at the flags near the announcers stand. New and Emerging Tree Diseases by Michele Grabowski at 5:00, 6:30 and 8:00. Thousand cankers, Bur Oak Blight, Japanese apple rust and more. Come learn how to recognize these invasive tree diseases. Azaleas by Stan Hokansonat 5:00, 6:30 and 8:00. The University of Minnesota started over 100 years ago (1908) to develop what would thrive in our challenging climate. The breeder at the U of M, will describe the process of developing new varieties and discuss varieties that are available for growing in Minnesota. Beating the Beetle with Genetics by Gary Johnsonat 5:00 and 6:30–Emerald Ash Borer (EAB) is threatening Minnesota communities, especially since very often 1 out of every 4 trees is an Ash tree. Join us to learn the facts about EAB and some non-pesticide “controls”: selecting a wide variety of Ash replacement trees and using more affordable trees grown in hydrated gravel systems. Raspberry High Tunnel by Dallas Flynn at 5:45 and 7:15. This fruit research project is in its third year testing the viability of extended season harvest of raspberries. Raspberries in the high tunnel are grown in controlled conditions without the use of any pesticides. This project is one of two U of M experimental projects to assess high tunnel raspberry production in Minnesota. Annual Flowers by Heidi Doering at 5:00, 6:30 and 8:00. View trials of new and interesting innovations in annual flower varieties. Secrets of Spectacular Containers by Carol Rethemeier and Mary Dertinger at 5:00 and 7:15. From the potting mix to the newest plants, discover tips to make a difference in your home flower containers. Adding Green to our Minnesota White Months by Jeanne Back at 5:45 and 8:00. Keep your gardening skills active this winter with indoor plants. Learn some selection tips and tricks for success while adding color to the snowy season. Vegetables-“Putting Down Roots by Glen Huebner at 5:00 and 7:15. Glen will discuss starting vegetable seeds indoors using the Solo method as a unique way to protect roots, encourage root growth, and produce stronger plants. Language of Flowers by Ron Wienhold at 5:45 and 8:00. Find out the meaning of the bouquet or the flowers you grow. They can convey the good or the bad like a written letter. Plant Heads by Stevens County 4-H Ambassadors. Kids will be able to grow grass on a small head using nylon and sawdust. They will be excited to learn about how grass grows with this hands-on experiment. Wind Turbines by Kirstin Koch. Kids will be able to learn about the wind and how energy is created by the use of small wind turbines. They will also be able to make their own and bring it home. Face Painting by Stevens County 4-H Ambassadors. Kids can identify their favorite plant and have it painted on their face with a face painting activity. Aquatic Robotics by Brian McNeill. Bring your family and come explore a new venture using underwater robots in 4-H by the exposure of 4-H Aquatic Robotics. Farm Tour at 5:45 and 7:15 (Meet South of Registration Area). 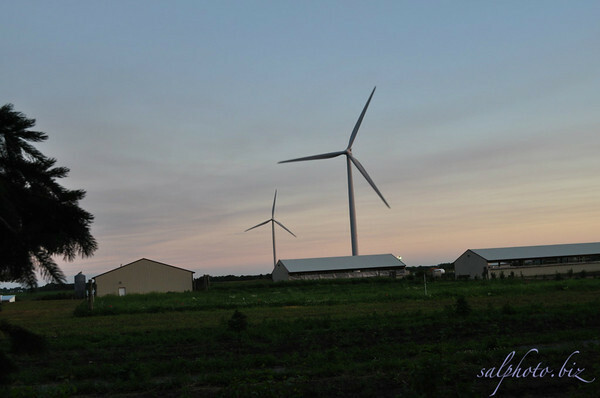 Take a hayride tour to learn about the ongoing WCROC agriculture and renewable energy. Tri-State Band–Rest in picnic tent area and enjoy the band. Performance starts at 7:15. Food Booths: Grilled Hamburgers and Bratwurst"
"Two prominent experts in their fields will be featured speakers during the 39th annual Horticulture Night at the West Central Research and Outreach Center gardens on July 30. Mark Seeley is a professor in the University of Minnesota’s Department of Soil, Water, and Climate, where he has worked since 1978. He has done weekly commentary for Minnesota Public Radio and written the weekly newsletter "Minnesota WeatherTalk" since 1992. Michael L. Heger is owner of Ambergate Gardens near Chaska. Heger worked for more than 15 years at the University of Minnesota Landscape Arboretum. Mike is also the author of "Perennials A to Z", a series of articles that were originally published in Minnesota Horticulturist and coauthor of "Growing Perennials in Cold Climates. Seeley’s extension educational programs relate weather and climate’s impact on Minnesota agriculture, transportation, energy, tourism, and natural resources. Seeley edited a successful series of children's books called the "Amazing Science Series" and recently authored a 200-year history of Minnesota weather called "Minnesota Weather Almanac." Heger and his wife Jean started Ambergate Gardens in 1985, while he was still employed at the Arboretum. In 1988, Ambergate became a full time business that is a retail, mail order and walk-in business devoted entirely to herbaceous perennial flowers. It also offers a line of wholesale containerized perennials to local designers and landscapers. Heger is active in numerous plant societies and trade organizations related to perennial flowers. He has lectured on a wide variety of gardening topics throughout the northern tier of states. Most recently, he has served as a consultant for the "Midwestern Garden Book,” which will be published soon." "Garden tours, horticultural demonstrations, hands-on family activities, special activities, picnic, music, art, farm tour, and an educational trade show will combine to create the 38th annual Horticulture Night. Horticulture Night is Thursday, July 31 from 5 p.m. to 9 p.m. at the University of Minnesota West Central Research and Outreach Center, in Morris. Horticulture Night at the West Central Research and Outreach Center gardens typically draws hundreds of people for tours and demonstrations. Horticulture Night at the West Central Research and Outreach Center gardens typically draws hundreds of people for tours and demonstrations. Growing Hardy Chrysanthemums–5:45 p.m. and 7:15 p.m. – How to select and care for mums with a special emphasis on the northern-adapted cultivars bred at the University of Minnesota. Growing Easy Elegance Hardy Shrub Roses–5 p.m., 6:30 p.m. and 8 p.m. – roses bred for the Minnesota environment. Raspberry High Tunnel–5:45 p.m. and 7:15 p.m. — Tour a new experiment attempting to extend Minnesota’s short and sweet fruit growing season. Low Input Sustainable Turf- 5 p.m., 6:30 p.m. and 8 p.m. -- Are you interested in spending less time watering and fertilizing your lawn? A look at several low-input turf grasses for Minnesota lawns. Annual Flowers–5 p.m., 6:30 p.m. and 8 p.m. — View trials of new and interesting innovations in annual flower varieties. New Introductions of Trees and Shrubs–5 p.m. and 7:15 p.m. – Breeding and development of new woody landscape plants is a long-term proposition. This presentation will discuss some of the University’s newest tree and shrub introductions and possible selections being developed for the future. Culinary Herbs–6:30 p.m. – Minnesota growing conditions, characteristics, and harvesting suggestions for common culinary herbs. Also, usage and preserving ideas. Integrated Pest Management for Home Landscapes— 5:45 p.m. and 8 p.m. — Get acquainted with your pests and manage their presence. The important tools of IPM followed by some key cultural practices and some examples of IPM applications for the landscape. Controlling Wildlife in Your Garden—5 p.m and 7:15 p.m. – How to identify damage and manage visits of wildlife to your garden. How to Plant a Tree—6:30 p.m. and 8 p.m. — Nothing seems easier than planting a tree, but planting is not as simple as it looks- if you want the tree to live. This presentation will cover some new planting techniques. Rain Gardens–5:45 p.m. – Have you heard about rain gardens? Learn about creating one on your own property to benefit the environment and beautify your lawn. Pizza Garden–5 p.m. and 6:30 p.m. -- Visit this garden and see all of the plants that makes up the ingredients of a pizza. Organic Dairy Farming–5:45 p.m. and 7:15 p.m. – Meet the cows and learn about everything that goes into that glass of ice cold milk. Majestic Monarchs–5 p.m. and 6:30 p.m. – Learn about the lifecycle of Monarch Butterflies. Tree ID – 5:45 p.m. and 7:15 p.m. – Take a quick trip into our arboretum and test your knowledge of all the different trees that grow in our area. Fast Vegetables–5:45 p.m. and 7:15 p.m. – How to make some great salsa and other easy veggie ideas. Farm Tour – 5:45 p.m. and 7:15 p.m. –in the registration area: Take a ride on a hayrack and learn about the ongoing Agriculture Research and Renewable Energy. New Raspberry High Tunnel Project Tours- 5:45 p.m. and 8 p.m. -- New this year to the fruit research program at the center is a high tunnel experiment testing the viability of extended season harvest of raspberries. Raspberries in the high tunnel are grown in controlled conditions without the use of any pesticides. This project is the first to experimentally assess high tunnel raspberry production in Minnesota. Tri-State Band–Performing at 7:15 p.m. – in the picnic tent area. The WCROC Horticulture Gardens are used for research and to showcase displays that inspire gardeners to use them in their own backyards." 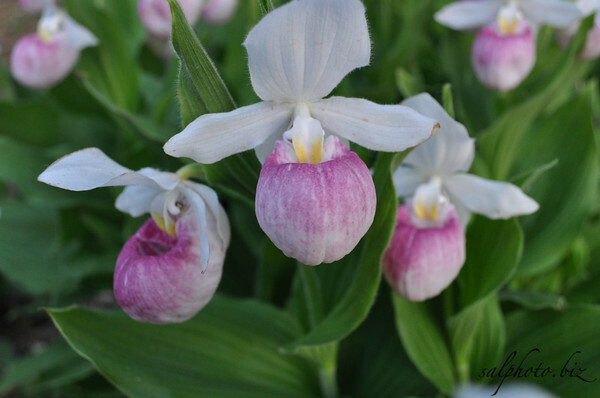 " The pink and white lady slipper is one of Minnesota's rarest wildflowers. Thriving in swamps, bogs, and damp woods, they grow slowly, taking 4 to 16 years to produce their first flower. Sometimes they live for 50 years and grow four feet tall. They bloom in late June or early July. It is illegal to pick the lady slipper." See our photo gallery ! Thank you for visiting GoodnewsMorris! Please feel free to e-mail me (Sal) at goodnewsmorris@yahoo.com on any comments, suggestions (e.g. any new websites),complaints, or anytype of feedback to improve this website.